black or grey. Metal accessories also in white, black, or grey. 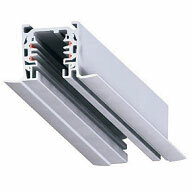 in track for direct to surface installation or via different ceiling brackets. Approved by SEMKO with CB-certificate.